Wil Eldridge Sideman received his Bachelor of Fine Arts Degree at the Massachusetts College of Art and Design in Boston, Massachusettes. He has since been the recipient of scholarships from and attended workshops at Pilchuck Glass School, Haystack and The Penland School of Crafts. In 2013 Sideman received his MFA from the Rochester Institute of Technology. He has been a visiting artist at the Massachusetts College of Art and Design, The Northlands Creative Glass center in Lybster, Scotland and The China Academy of Art in Hangzhou China. 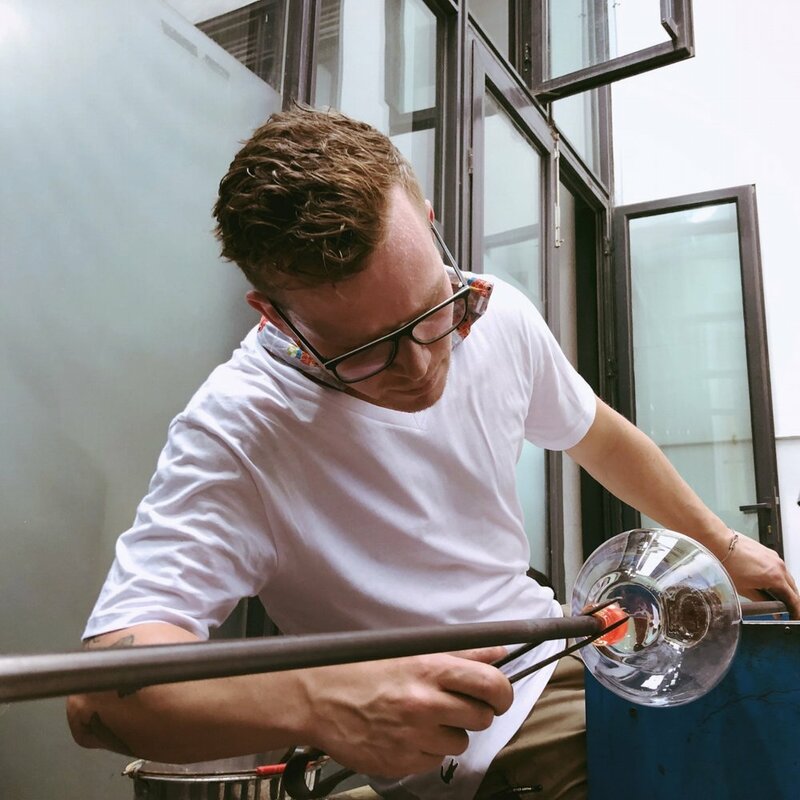 Sideman exhibits his work at venues internationally such as, The Clark Gallery, Urban Glass, The Center for Visual Arts in Greensboro North Carolina and the Tiayaun Glass and Ice exhibition in Beijing, China. During the 2015/2016 academic year he served as Visiting Assistant Professor of glass at the Rochester Institute of Technology. Sideman maintains teaching as a prominent part of his practice, most recently returning from The China Academy of Art in Hangzhou. Sideman’s work is a sculptural approach to analyzing the world around him. Through glass and mixed media Sideman investigates ideas dealing with Identity, Location, Community and Time. Wil Eldridge Sideman is a sculptor and educator from the New England Area. With a studio practice steeped in research Sideman creates work as a way of analyzing the world around him. Eldridge & Co. is glass oriented design and fabrication company. Our focus revolves around the interior, utilizing light, space and line to create one of a kind design solutions for our clients.